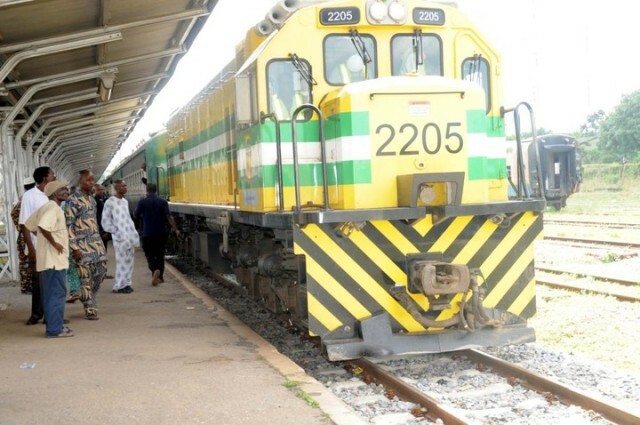 President Goodluck Jonathan has pledged to connect all the 36 states of the federation to railway line, if re-elected in the March 28 elections. Jonathan made the pledge in Daura on Saturday when he paid a courtesy call on the Emir of Daura, Alhaji Umar Farouk Umar. He said that that the railway lines, when operational would ease transportation of goods and persons to all nooks and crannies of the country. Jonathan said that the railway line would boost economic activities of Nigerians. He said that his administration had constructed and rehabilitated roads linking different state capitals. He told the emir that his administration had so far established 12 federal universities out of which 10 were located in northern part of the country. Jonathan said that he was in Katsina to thank the emir for his support to his administration and to solicit for more for his re-election. He further pledged that if re-elected, he would provide more dividends of democracy to Nigerians. Responding, the emir thanked the President for the visit and commended him for his commitment to improving the living standard of Nigerians. Umar promised to give all necessary supports and cooperation to the president to actualise his dream. The traditional ruler prayed for the peaceful conduct of the general elections.